David de Gea, Anthony Martial and captain Antonio Valencia are among eleven Manchester United players facing an uncertain future at Old Trafford with their contracts expiring at the end of the season. None of them were brought to the club by Jose Mourinho but that does not mean the under-pressure Portuguese manager is willing to let them all leave. 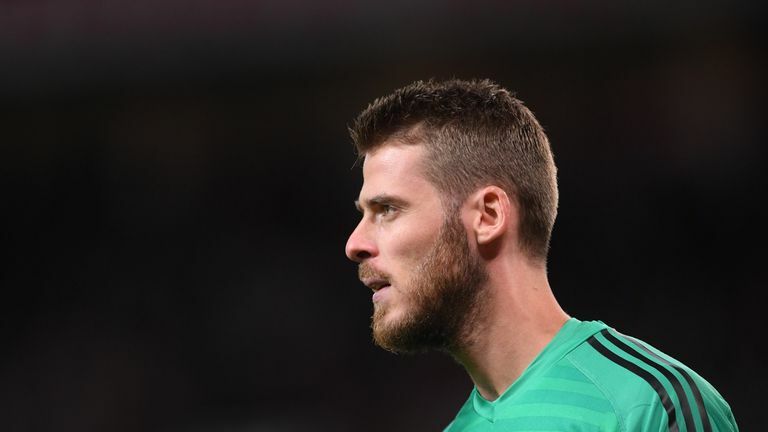 De Gea has repeatedly been linked with a move to Real Madrid in recent seasons but Sky Sports News understands United have opened talks with his agent Jorge Mendes over a new deal. The Spain international goalkeeper has the option of an extra year which triggers automatically, should United want to keep the 27-year-old, reducing the pressure on United to extend his deal this season. The future of Martial, meanwhile, is less clear. The club did discuss a new contract with the striker last summer amid interest from other clubs, but no deal was signed. However, like De Gea, his deal rolls on into a further year next summer. United captain Valencia will complete a decade of service at Old Trafford at the end of the season and like the previous two, his contract also rolls into another 12 months. Ander Herrera told Sky Sports News on United's pre-season tour that he wants to stay at the club, although the midfielder has been linked on Tuesday with a return to former employers Athletic Bilbao. He was brought to the Premier League in 2014 by Louis van Gaal but has been impacted by the arrivals of Nemanja Matic and Fred and has appeared just twice in the league this season. Juan Mata's case is intriguing, as he was allowed to leave Chelsea when Mourinho was manager at Stamford Bridge back in January 2014. The Spaniard, 30, is already in his option year. SSN understands England defenders Phil Jones and Chris Smalling are not priorities for new deals, especially if United sign more defenders in either January or next summer. Luke Shaw is at last enjoying a prolonged run in the United team following his recovery from long-term injuries and some stinging public criticism from Mourinho. The left-back has forced his way back into the England side and Sky sources say United want to retain him. Ashley Young has spent seven years at United and currently has a rolling contract, which is renewed based on the 33-year-old's performances. If Andreas Pereira continues to feature he may well be offered fresh terms. He signed a new two-year deal in 2017 and said publicly that Valencia wanted to sign him permanently in the summer after impressing there on loan last season. Sky in Italy reporting that Napoli made a loan offer for Matteo Darmian in the summer, and he has made just one appearance for United this season.